Leading members of Congress have petitioned Iranian officials to grant them entry to the country ahead of a major speech by a top Iranian diplomat scheduled to take place Friday in Washington, D.C., according to documents obtained by the Washington Free Beacon. Three members of Congress, including a member of the House intelligence committee, have been petitioning Iranian officials to grant them travel visas so they can meet with American hostages and inspect Iran’s nuclear sites to ensure compliance with the recently implemented nuclear deal. 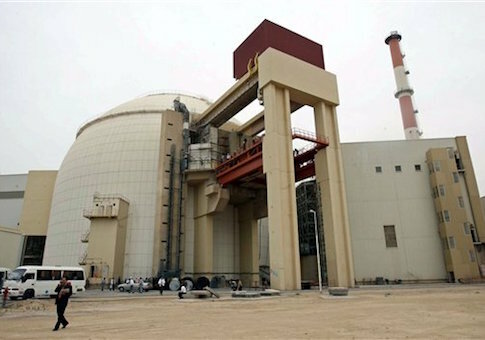 Iranian officials have stalled these attempts for months and missed a self-imposed deadline to respond to the lawmakers’ request, according to correspondence obtained Tuesday afternoon by the Free Beacon. The lack of reply by Iran has led to accusations of hypocrisy by these lawmakers, who noted that the Obama administration has repeatedly permitted Iranian officials to travel to America for meetings and events. Valiollah Seif, the governor of Iran’s central bank, is scheduled to appear in D.C. on Friday at a high-profile event sponsored by the Council on Foreign Relations, a think tank. Reps. Mike Pompeo (R., Kan.), Lee Zeldin (R., N.Y.), and Frank LoBiondo (R., N.J.) are now insisting that Iranian officials extend them the same courtesy already granted to the Islamic Republic by the Obama administration. "It has now been more than two months since we applied, and we would appreciate a decision on our application," the lawmakers wrote on Tuesday in a letter addressed to Iranian Foreign Minister Javad Zarif and obtained by the Free Beacon. "If you reject our visa applications, please provide an explanation. "As the governor of the Central Bank of Iran, Valiollah Sief, visits Washington, D.C. this week, it is clear the American government is allowing Iranian leaders to visit the United States," the lawmakers wrote. "Further, American and international business delegations are traveling to Iran and have obviously received visas. We trust the same courtesy will be extended to American leaders." The lawmakers travelled to the Iranian Interests Section of the Pakistani embassy in D.C. in early February to hand-deliver their visa applications to Iranian officials. They also submitted a letter outlining the goals of their visit, which would include meetings with Americans incarcerated in Iran, briefings on the group of U.S. sailors who were temporarily detained by Iran earlier this year, and inspections of the country’s nuclear sites. "When we submitted our applications, the deputy director of the interests section, Abolfazl Mehrabadi, informed us that we would receive a reply, though your staff missed their own self-imposed deadline for responding," the lawmakers wrote. "We have followed up several times with them, but to no avail." The lawmakers also wanted to observe Iran’s recent elections to ensure transparency, but were unable due to the delay in processing the travel documents. "With your claims that many moderates were elected, we imagine that there should be no problems now with our trip," the lawmakers wrote. "However, our straightforward applications continue to be met with ridicule and delay from many Iranian leaders." One senior congressional source apprised of the situation called on the State Department to help the lawmakers to visit Iran. "These three congressmen applied for their visas at the beginning of February and it is now April," the source said. "Why the Iranian government has delayed so much, and why the U.S. State Department has not stepped in to help facilitate their applications is beyond me. If Iranian officials are allowed to travel to the United States, shouldn’t elected representatives of the American people be able to visit Iran?"